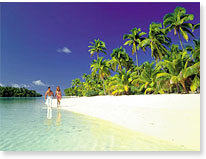 Enjoy a sailing holiday in the enchanting tropical islands of TONGA by chartering one of our luxury sailing yachts. The Vava'u group of Islands in the ancient Kingdom of Tonga has some of the most beautiful islands in the world, where the water is clear and clean, the sailing conditions just right, and the anchorages and places to cruise outstanding. Tonga has been renowned for over 200 years as the 'Friendly Islands', providing a warm welcome to enjoy sailing in effortless surroundings. The hospitality provided by the local culture filters down through all aspects of this experience. The sailing conditions of crystal clear waters combined with Tonga's scenery and refuge for humpback whales all add to an experience that will remain with you! We look forward to welcoming you on our dock to start your experience in this unique location.